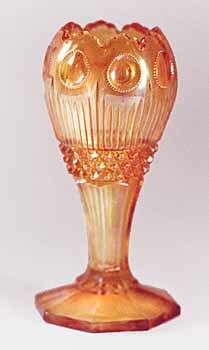 This vase and the liquor set are the only pieces known at one time. The vase is shown in Marion Hartung's book #10, listed as a souvenir vase. It is 6 1/2 inches tall. Courtesy of Mike and Linda Cain. 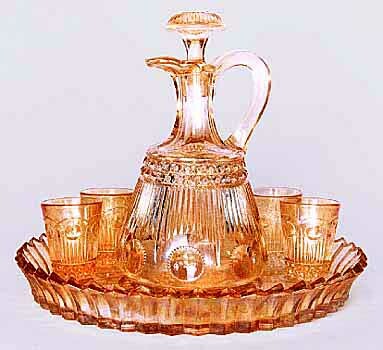 The liquor set, with 4 glasses and underplate, sold in 2008 for $2,700. 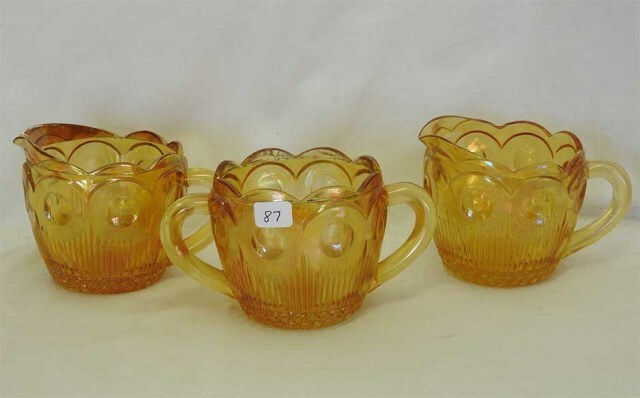 A marigold 6 1/2-inch vase with a seam crack sold for $110 in 2004. 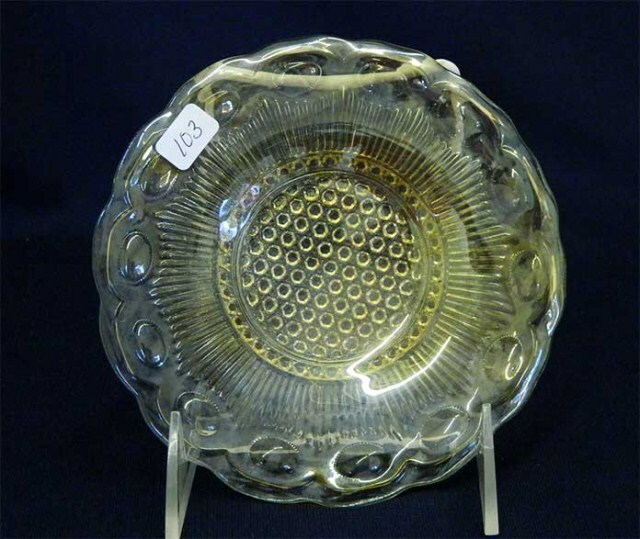 A light marigold 6-inch plate said to be in this pattern sold in 2012 for $15.